We are a family owned and operated business offering fine timepieces since 2007. 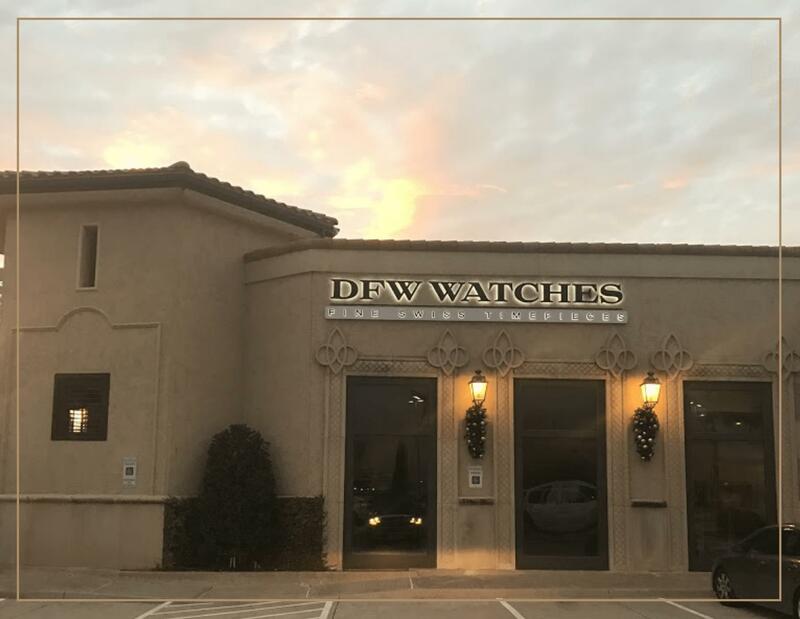 Here at DFW Watches, customer service is our first priority as we strive to make sourcing and purchasing your new watch as painless as possible. We began as a small boutique firm sourcing exclusive watches to private clients in the Dallas area. In 2010, we began offering a hand selected inventory of both pre-owned and brand new watches for sale to the general public through multiple online venues. In 2014, we opened our first full retail showroom in Frisco, Texas. We are current members of the IWJG (International Watch and Jewelry Guild) and the NAWCC (National Association of Watch and Clock Collectors). We are also very active in the watch collecting community, attending local get-togethers and events. If you would like to sell your watch or offer a trade-in on one of our current timepieces, then feel free to contact us and we will promptly respond. We have a large inventory that is updated daily, so please check back often. Many of our pieces sell before they ever reach our website. If you are looking for a specific watch, then please contact us to check for availability. Please browse our online inventory and feel free to contact us by phone at 1(800)616-6598 or by e-mail at sales@dfw-watches.com with any questions. If you’re local to DFW, we’d love for you to come into our shop and see our selection in person! You can also follow us on Twitter and Facebook to get instant updates on new inventory and deals. I got the watch yesterday…it’s magnificent! Thank you. You’re a gentleman and true professional and it’s a pleasure doing business with you. I will definitely check with you first for any future watch purchases I consider. I’m glad to add to your 100% positive eBay feedback and to recommend you to anyone considering a nice watch purchase from a trustworthy seller. Thanks again for everything!! Perfect seller! Fast shipping to Switzerland! Really friendly contact! Top Top!